Missionaries can use all the help we can give them — and what better way to uplift, motivate, and inspire them than with music? 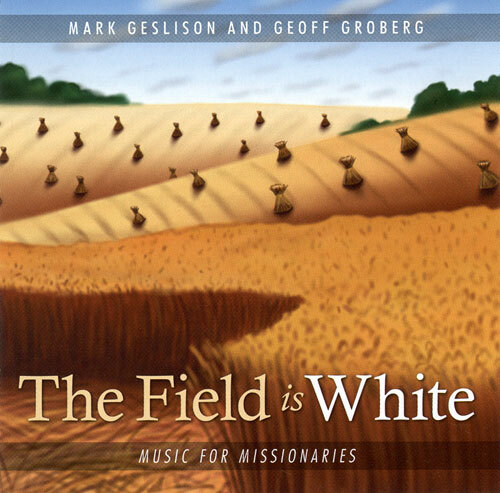 The Field is White is a beautiful collection of hymns specifically chosen for missionaries. Please contact us to purchase this CD. Note: This CD is primarily a compilation of missionary oriented hymns from our previous recordings. “I Hope They Call Me on a Mission,” “Ye Elders of Israel,” “Israel, Israel, God is Calling,” “A Poor Wayfaring Man of Grief,” and “Now Thank We All Our God” are new on this recording. © 2006 Geslison Groberg, LLC. Which song in particular are you looking for? You might want to check out our Sheet Music page.